Pop Conscious is always looking for ways that media spread hope, while informing and entertaining. So we’ll talk about unlikely places we’ve been inspired when we needed it, and surefire tools for a lift at any time. 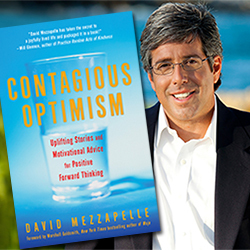 We’ll also share more about how you can experience the Contagious Optimism movement! Event Last night – I experienced such a high! With Friends from KROQ – a place I loved so much I volunteered (and got college credit). We went to see the band ABC at the Saban Theater in Beverly Hills. We went up to say hi to Richard Blade, the DJ we worked with 26 years ago (Richard can still be heard, nationwide on Sirius XM on First Wave.) And he announced to the whole theater, on mic, that we used to be his interns. A girl I knew from working at R&R — Radio & Records, (not the new Unity Online Radio show with Revs Richard Maraj & Richard Rogers…shout out to our former Regional Consultant, Stacy’s predecessor!) came over to say hi to Tracey and we got to be reconnected. All of us ended up being superfans in the front row, making eye-contact with Martin Fry and band members while we mouthed the words of Be Near Me, Poison Arrow, The Look of Love, When Smokey Sings, All of My Heart, How to be a Millionaire, Vanity Kills… Richard Blade seems ageless, as does Martin Fry – what’s their secret? I think it’s doing what they love. Friends: people who understand and support you in being who you are, people who lift you up and give you the courage to your best and most authentic self. Overcoming Challenges: Being positive doesn’t mean that we pretend challenges don’t exist – it means looking beyond the challenge, knowing that it’s not the (whole) Truth. Sharing ways that we’ve overcome, and reminding each other is empowering. Contagious Optimism These are encapsulated in this event this weekend – great stories, time to talk with them, make friends with people of like mind, shared passions, positive music, and break bread – dinner! Listen right NOW in our archives at Unity Online Radio or download the podcast from iTunes! 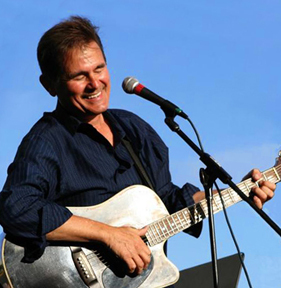 Harold Payne is his name, actually, and he’s a multi-platinum songwriter, singer, collaborator, and master improviser, as well as a Posi award winner. He’s written songs for artists from Peter Paul and Mary to Snoop Dog. We can drop a few more names too: Rod Stewart, Patti LaBelle, Kelly Rowland, and Damon Albarn from Gorillaz and the Blur frontman. There are more, but you’ll have to listen as Malayna and Stacy talk to Harold and learn more about him, and his part in Contagious Optimism Live! He wrote us a song, (and performed a few more!) and shared about walking a path through India among other things. Together we connected a ritual practice from Bali to America’s Gangsta culture, and spoke of authenticity, spontaneity, vulnerability and trust!